Roger Baker is a longtime Austin transportation, energy, and urban issues researcher and community activist. The following commentary has been adapted and slightly edited from his comments recently posted by E-mail to multiple recipients. 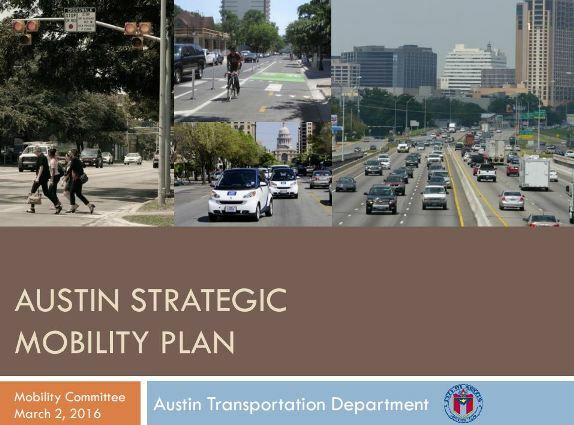 Austin’s previous most ambitious effort at a Strategic Mobility Plan was soundly defeated in the Nov. 2014 bond package, but few know that. One problem that Mayor Adler now faces, as a real estate lawyer dedicated to promoting maximum Austin and regional growth as policy, is a sharp decline in our regional economic growth due to the related factors of gentrification, decreasing mobility, and a correspondingly sharp decline in venture capital startups, since it locally peaked in early 2015. Austin jobs grew 0.6 percent annualized over the three months through November. Jobs in goods-producing sectors saw sharp decreases as manufacturing and construction have continued to shed jobs since the summer. Retail trade jobs continued to decline moderately, while wholesale trade fell sharply. Austin faces another unique state economic problem due to lower state sales tax revenue needed to fund state workers, as compared to the previous biennial state budgets. A 2.9% revenue decline doesn’t sound like a lot until you add in two years of inflation. A stagnant state budget and decline in tech job creation, too, put a big burden on the tourism sector to maintain the Austin economy. It seems to me that the Hotel Occupancy Tax increase is being primarily driven by hotels that want to expand the Convention Center again. They probably represent more than a billion dollars of local private hotel investments, so they have a lot of skin in the game. A lot of total current US growth is now happening because of high-technology-related job creation. Depending on high tech job growth is a risky industrial policy because this sector is especially prone to booms and busts, as the 2001 Dotcom bubble showed in the Austin area. There is a lot of national tech job competition involved. Even Nashville is seriously competing with Austin for venture capital startups, a category of speculative asset bubbles that have been stimulated by nearly a decade of the Fed’s near-zero interest rates. Cheap money encourages risk. Tech growth can often pay high wages, but over time it leads to gentrification and transportation problems. That is because major highways like Austin’s I-35 fill up with traffic comprised of lower-pay service workers trying to commute out to the cheaper suburbs to live affordably. Austin residents could use good rail and bus transit inside the city. More difficult is the fact that providing high-quality transit service is not very compatible with the doubling Austin MSA (metro area) population, and the low-density suburban development being planned by CAMPO. Dwindling housing supply and an affordable housing crunch are perhaps the biggest challenges in many markets seeing rising tech growth. One important thing to focus on now is CAMPO, because they have formal control of the regional state and federal money, and because they had planned extreme suburban sprawl in the CAMPO 2040 Plan, bankrolled by a hypothetical $35 billion in future funds, envisioned for Lone Star Rail, and from other sources. CAMPO is now doing their new 2045 plan. But our regional growth is slowing, because of side effects of prolonged growth discussed above, led by real estate interests attracted to fast regional growth. The new CAMPO 2045 regional population growth distribution will help reveal the political picture. Lone Star rail was taken out, so how can they handle the numbers of commuters they anticipate from the tech job growth that they anticipate along the I-35 corridor to San Antonio? It is getting hard to maintain that there will be as much money as CAMPO had claimed last time. I think it is impossible to predict toll road revenues decades in the future, as TxDOT and the CTRMA claim to be able to hire consultants to do. It is likely necessary to use bond money to widen I-35, so they find private consultants with proprietary travel demand models that we are not allowed to see or to question. The public can’t see the CAMPO models, either. Heading into 2017, in the face of a relentless and steadily worsening mobility crisis, the Austin metro area seems guaranteed to retain its notorious status as the national (and perhaps global?) Poster Child for indecision, confusion, and phenomenally incompetent transportation planning. Not only has this crisis been getting more severe … but even worse, policy decisions by local officials and planners have been reinforcing and expanding the underlying problems of suburban sprawl, a weak public transport system, and near-total dependency on personal motor vehicle transport. These have constituted the primary generators of congestion and the incessant tsunami of motor vehicle traffic engulfing the metro area … increasingly exposing the Austin-area public to hardship and danger. Despite years of “politically correct” affirmations of the need for public transport (including urban rail) and more livable development patterns, local public policy has consistently maintained a central focus on expansion of the roadway system and encouragement of outwardly widening sprawl. This transportation and urban development policy has been and continues to be the region’s de facto dominant, obsessive aim. The main mechanism for formulating and implementing this objective has been CAMPO (Capital Area Metropolitan Planning Organization), the metro region’s federally certified mandatory transportation planning agency, with representatives from Austin, Travis County, and five other surrounding counties. In concert with the Texas Department of Transportation (TxDOT), policy has been dominated by suburban and rural officials, assisted by the acquiescence of “progressive” political leaders representing Austin and Travis County. For Austin-area public transport, the result has been a malicious triple whammy: (1) A pervasive, growing network of widely available, easily accessed roadways continues to attract travel away from relatively slower, weaker public transit. (2) Sprawling roadways encourage and facilitate sprawling land-use patterns that virtually require personal motor vehicle ownership for access to jobs and essential services such as grocery shopping. (3) The enormous expense of constructing, maintaining, and expanding roadways (and associated infrastructure such as traffic signals, street lights, drainage facilities, and utilities to serve ever-spreading sprawl development) absorbs available public funds and restricts and diverts funding from public transport. These impacts were described in our article «Austin — National model for how roads are strangling transit development» posted this past October, which also highlighted the role of the “progressive” city administration’s huge “Go Big” $720 million “mobility” bond package as an accelerant to the region’s ongoing road expansion agenda. Relentless, obsessive focus on highway expansion by CAMPO and TxDOT contiinues to induce increasing traffic and to worsen congestion. Source: Culturemap.com. 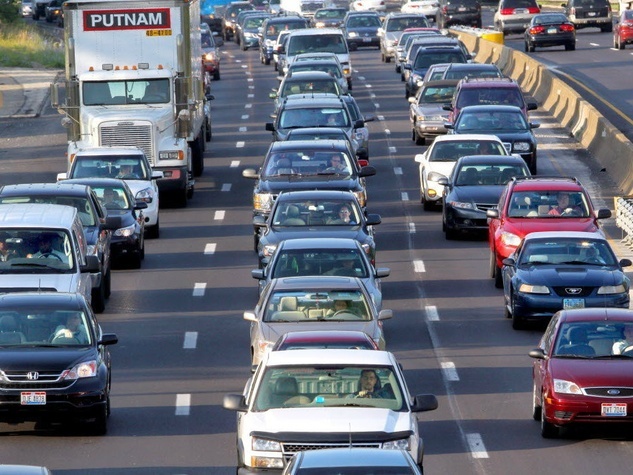 Within this environmental and policy context of continual, ferociously aggressive roadway expansion and sprawl development, how has public transit policy fared? Within roughly the past 15 years, the answer is … miserably. 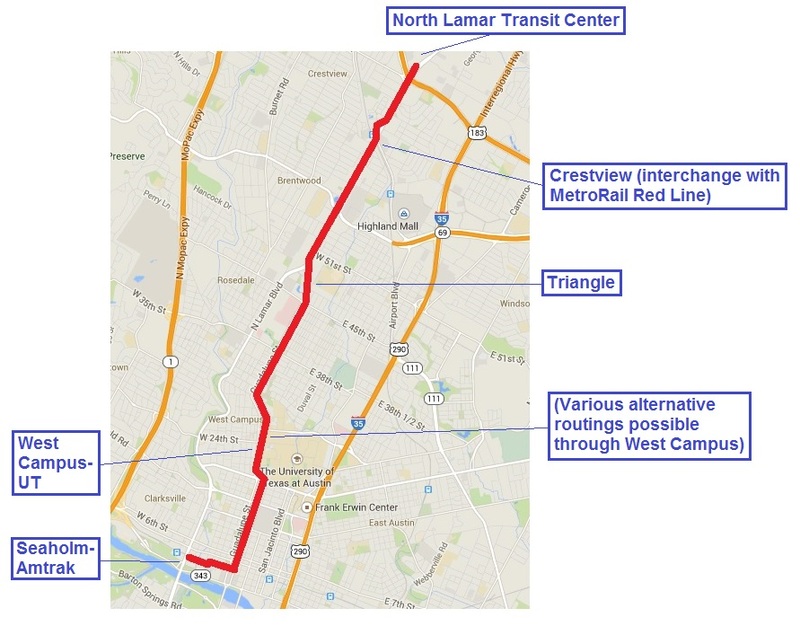 The pursuit of a rational, viable LRT project (i.e., affordable urban rail) in Austin’s busiest, densest central local corridor – an effort that lasted from the last 1980s until the early 2000s – has basically been abandoned in official planning. 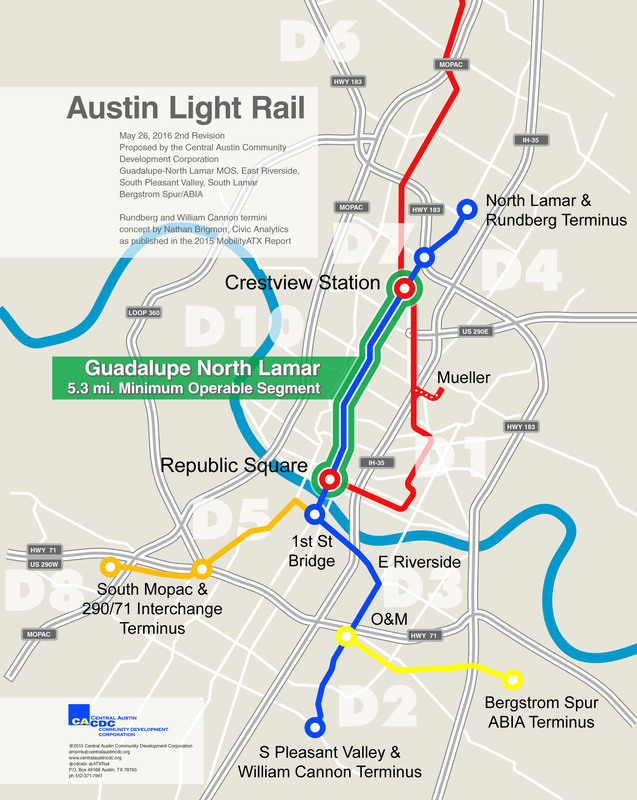 While MetroRail (which was initially proposed in the late 1990s to demonstrate the efficacy of rail transit, and serve as a precursor to electric LRT) was endorsed by voters and eventually launched in 2010, Austin’s regional transit agency, Capital Metro, has never attempted to expand its potential. Instead, the agency has locked in MetroRail’s role as a small “commuter” line, and has ditched the original vision of conversion to LRT. The rail operation remains a relatively tiny adjunct to Capital Metro’s system, with (mainly because of low ridership) the highest operating and maintenance costs per passenger-mile of any comparable rail systems in the country. 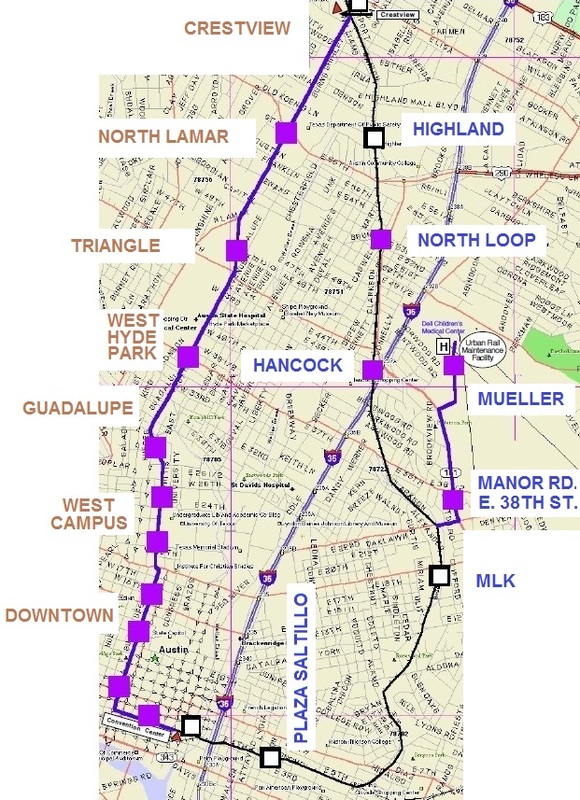 A concomitant fiasco has been Capital Metro’s effort to portray its MetroRapid limited-stop bus service as “rapid transit”, evidently intended in part to try to deflect community interest in urban rail for the Guadalupe-Lamar corridor. So how’s that effort worked out? As the Austin American-Statesman’s transportation reporter Ben Wear pointed out this past July in an article titled «Pondering Cap Metro’s ridership plunge», “It hasn’t gone well.” Wear notes that, despite the introduction of supposed “rapid transit” service, ridership in the corridor has dropped by a third over the past four years. 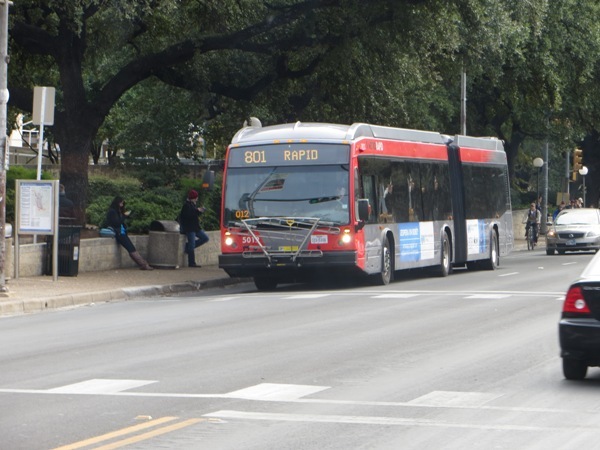 Capital Metro and Austin officials have touted MetroRapid bus service as “rapid transit”. Photo: L. Henry. Likewise, in an Oct, 26th KXAN-TV news story titled «MetroRapid ridership lags along North Lamar and South Congress», reporter Kevin Schwaller noted that current North Lamar-Guadalupe-South Congress Route 801 MetroRapid boardings, at 13,000 a day, are running about 7,000 short of the 20,000 a day projected when the service was launched in 2014. Capital Metro, it seems, remains astonishingly clueless. As our article «Capital Metro — Back to 1986?» pointed out last month, Capital Metro’s current planning seems essentially an effort to revive plans for “bus rapid transit” on I-35 rejected back in the late 1980s. ► Largest Western and Southwestern cities — The largest metro areas in America’s West and Southwest now all have LRT systems in operation. These include: San Diego (1981), Los Angeles (1990), Dallas (1996), Houston (2004), Phoenix (2008), Seattle (2009). It should also be noted that San Francisco has a legacy LRT system, based on its original streetcar system operating since the 19th century, and modernized to LRT beginning in the 1970s. ► Peer cities — This category consists of a sampling of systems in metro areas that can be regarded as peer cities to Austin, in terms of size, demographics, and other relevant features). These include: Buffalo (1985), Portland (1986), San Jose (1987), Sacramento (1987), Baltimore (1992), St. Louis (1993), Denver (1994), Salt Lake City (1999), Tacoma (2003), Charlotte (2007), Norfolk (2011), Tucson (2014), Kansas City (2016), Cincinnati (2016). 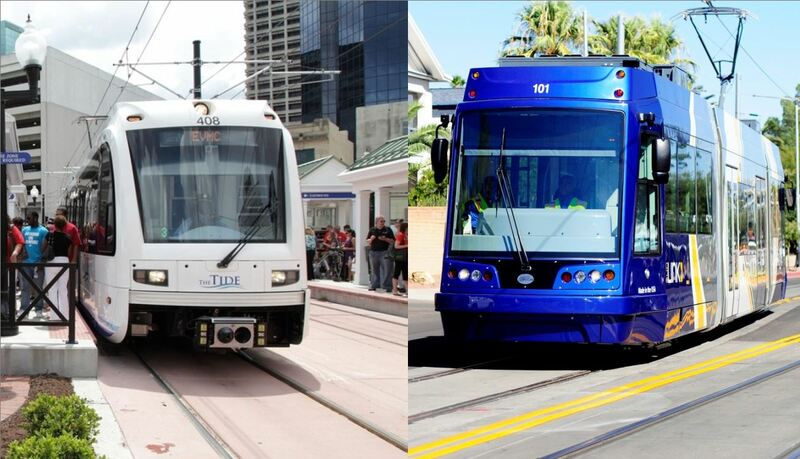 We should note that Oklahoma City also has a modern streetcar project under way. 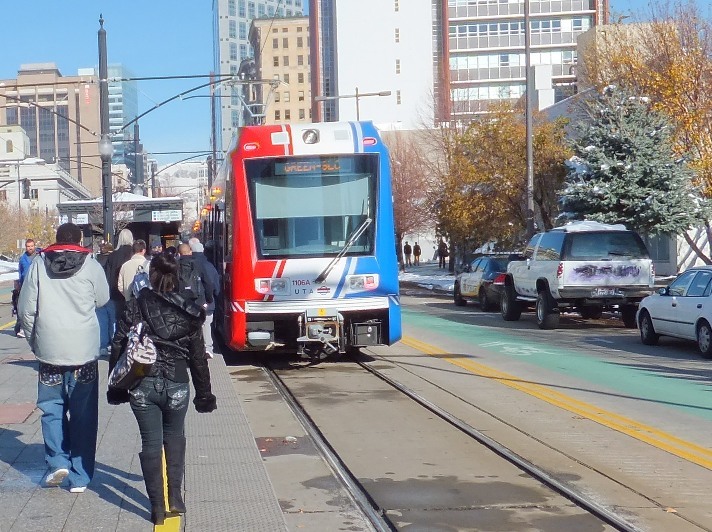 With its LRT system, opened in 1999, Salt Lake City is one of many peer cities that have sped past Austin in their public transport development. Photo: Dave Dobbs. ► Other new LRT systems — It should also be noted that new modern LRT systems have also been opened in northern New Jersey’s Hudson-Bergen corridor (2000) and Minneapolis (2004). CAMPO’s 2040 regional roadway plan emphasizes expanding web of roadways catering to real estate development, intensifying addiction to private motor vehicle travel, and accelerating sprawl. Map: CAMPO 2040 Draft Plan. Most Austin folks still don’t know it (and how could they without much good investigative reporting?) but there is actually a behind-the-scenes struggle being conducted by two Austin-area real estate coalitions with quite different visions — a contest conducted through the agency of our federally mandated transportation planning body, Capital Area Metropolitan Planning Authority, or CAMPO. For the time being, the more influential growth alliance which benefits from roads and more roads to serve Austin-area sprawl development has won out. There is also a distinctly different group of landed beneficiaries centered around a transition to high-level transit as the future mode choice. This policy difference is basically a long-lasting political battle between two politically influential real estate development coalitions doing normal business under somewhat unique circumstances. Texas is a “property rights” fundamentalist state, in which unregulated land development is the rule in about the only U.S. state without county zoning. In light of this fact, it is easy to imagine why this land development policy difference would arise. Sometimes the development strategies of these coalitions coincide and at other times they don’t. But they are in complete solidarity when it comes to their support for maintaining maximum Austin-area tech-job-led population growth forever. The impossibility of doing that, as is now being planned by CAMPO, makes Texas politics all the more colorful and interesting. Let us call these development coalitions first the “sprawler growthers” more closely allied with RECA (Real Estate Council of Austin), and with fast land deal profiteering their uppermost consideration. The other policy bloc is the “transit growthers“, more allied with the Chamber of Commerce and Project Connect, based on somewhat more of a long-term sustainable growth vision. The latter transit-supportive, somewhat smarter-growth coalition recognizes that with congestion becoming a major challenge to maintaining Austin’s tech-based growth, and buses caught up in the same congestion, this leaves only old-fashioned, high-level rail to serve on travel corridors like Lamar/Guadalupe. There is no other way to maintain what still remains of Austin’s severely degraded peak hour travel mobility. The recent Travis County support for bringing the Rocky Mountain Institute into the Austin area planning process to tackle Austin congestion can’t change this unhappy reality very much. Nothing can solve problems that really stem from decades of anarchistic sprawl development, and at this late stage in the urban development process. Now that Uber has created and promoted software that undermines certain traditional inefficiencies of the taxicab industry, there isn’t much to be done there. Capital Metro has gotten a new app that makes it possible for riders to track buses, but these buses are still largely trapped in congestion at peak, which remains their main problem. Squeezing what advantages are left to develop through wider use of telecommuting to eliminate physical travel might help some, but new breakthroughs in that area are getting hard to find. 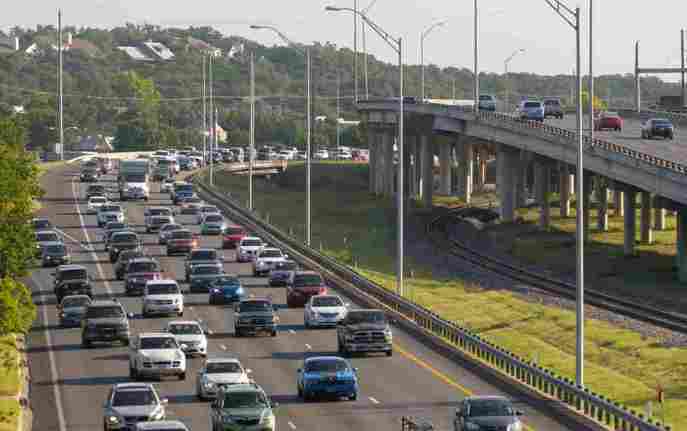 Suburban highways, freeways, and tollways like Loop 1 (MoPac) have driven suburban sprawl, forcing dependency on personal motor vehicles for nearly all local transportation. CAMPO’s planning continues to be focused mainly on promoting suburban growth through further roadway expansion. Photo: CTRMA. On February 9th, CAMPO (the federally sanctioned Capital Area Metropolitan Planning Organization) held its monthly meeting, as usual to discuss regional planning policies. 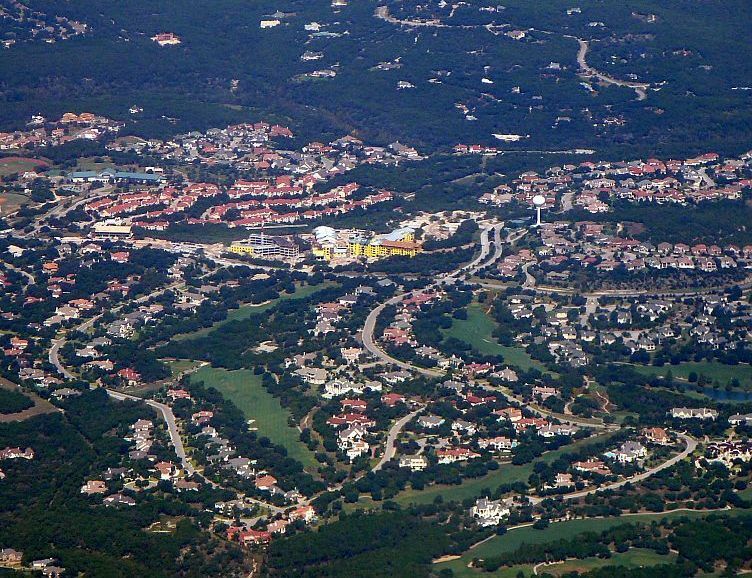 Although these tend to resemble (and to some extent overlap with) the City of Austin’s own planning issues, CAMPO’s anti-environmental, pro-sprawl policy governs state policy and the disposition of federal money, and thus tends to overrule Austin’s policies. So Austinites involved in local urban planning and transportation issues should take some interest. 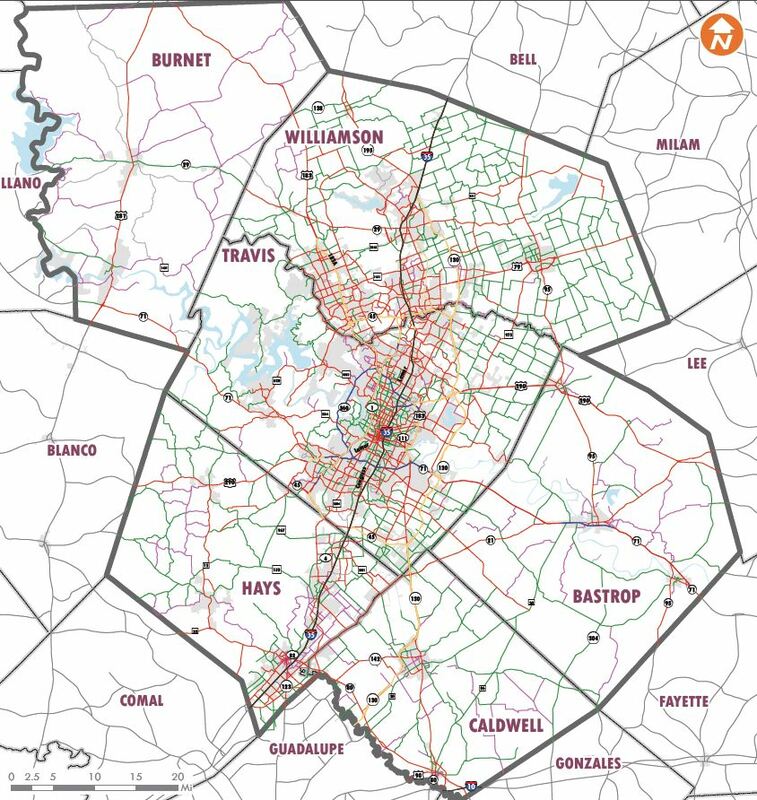 This CAMPO plan currently in the works, and nearing approval as our top regional infrastructure policy, seeks to double the Central Texas population to about 4 million, while putting most of the future population increase In Hays and Williamson Counties. This amounts to a prescription for intense and auto-addictive suburban sprawl development far into the future. This nightmare presents CAMPO with a political problem — trying to explain how it makes sense to spend $32 billion in fanciful future money only to see congestion get much worse than now, and what happens to congestion without this optimistic funding. The CAMPO politics of planning policy assumes that the special interests tied to land development proceed as usual. The whole effort amounts to damage control. Congestion is treated like a dragon to be slayed mostly by roads, a process unconstrained by rational land use planning. One response to CAMPO’s political problem of horrible modeled congestion is to use various behavior change assumptions to make future travel demand disappear, effectively by edict, by a united proclamation of the travel modelers and politicians. The CAMPO planners have now managed to generate enough driver trip demand assumptions that they make more than 50% of the total Austin’s travel demand disappear as if by magic. This process is called Transportation Systems Management, which makes Austin’s future congestion picture, if still bad, look a lot better, despite CAMPO’s huge predicted level of sprawl development ringing Austin. Staff is developing an analysis section similar to the analysis conducted by the Greater Austin Chamber of Commerce for their 2013 Mobility Report. This analysis will quantify the estimated congestion reduction benefit achieved by implementing 2040 Plan projects as well as additional travel demand management (telework, peak-shift and mode-shift) and transportation system management (operational improvements) strategies. Staff is also preparing a qualitative analysis of the CAMPO activity centers as a land use strategy. CAMPO staff and modeling consultants are developing a needs analysis for the draft CAMPO 2040 Plan which is similar to the analysis conducted by the Texas A&M Transportation Institute for the Greater Austin Chamber of Commerce 2013 Mobility Report. The analysis will quantify the estimated congestion reduction benefit achieved by implementing 2040 Plan projects as well as additional travel demand management (telework, peak-shift and mode-shift) and transportation system management (operational improvements) strategies. Staff and consultants developed assumptions regarding the implementation rates of the strategies so that the analysis will reflect reasonable results. Staff is requesting that the TAC review and provide input on the assumptions. 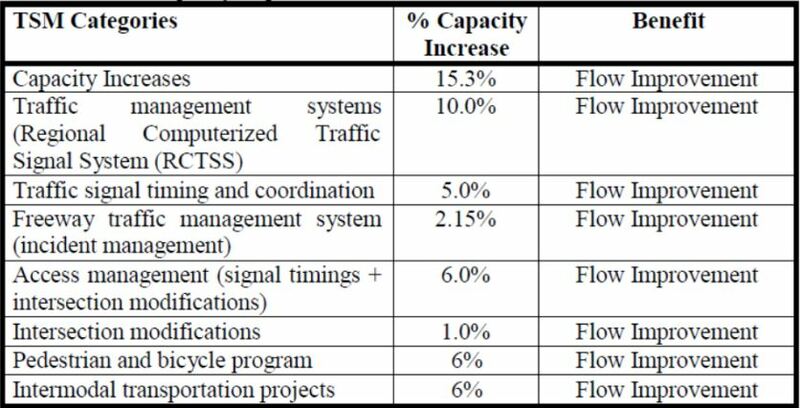 Assumed capacity impacts of Transportation System Management measures. Table: CAMPO Technical Advisory Committee. Grand total = 51.15% (assumed) total future trip demand reduction! All this begs the question of why, assuming these congestion reduction policies can really work as claimed, CAMPO doesn’t put the highest policy priority on reducing our traffic demand 50% in these various ways immediately, instead of waiting any longer. Are there really examples of this much telecommuting-led travel demand reduction on this scale, or this much voluntary peak travel time shifting? Are there local engineering reports to add credibility to the claimed travel reductions from the various suggested signal policies? How credible is CAMPO’s claim of over 50% demand reduction? If we do this stuff, will we still need rail that bad, or is it already assumed in the “Intermodal Transportation Projects” share of demand reduction? Barton Creek Resort development near Loop 360. This kind of lower-density suburban development, facilitated by publicly funded highway expansion, and widespread throughout the Austin region, is virtually impossible to serve effectively and affordably by mass transit — and this leads to near-total dependency on personal motor vehicles for mobility. Photo: Mopacs, via Skyscraperpage.